Desk jockeys and cubicle dwellers yearning to go free, start your own companies now. Yes. While you’re still employed. In fact, ramping up while you’re still staff gives you the advantage of choosing a niche that has long-term potential, instead of just running from a tedious or odious job. Minda Zetlin outlined my Career Lattice strategy for managing this transition in her January post at Inc.com. The strategy pivots on mining your remaining staff days to understand how you can leverage your industry knowledge and skills in a new direction that will be more apt to support some of your other priorities, such as flexibility or working remotely. The key dynamic is one that you’ll keep using once you are on your own: tracking trends and interpreting them as market opportunities. If you aren’t sure how to do that, you’d best figure it out while you are still employed. And if you do know how to do that, now’s the time to start creating and connecting the dots that convert trends to clients. And if you live within 150 miles of Chicago, consider signing up for the “Lattice from Staff to Entrepreneurship” workshop I’ll be leading later this year at Chicago’s Women’s Business Development Center. In a recent webinar on latticing I presented for Canadian Women In Communications, a participant asked how to detect good lateral opportunities within her company. Her question is a common one; opportunities can be opaque to rank-and-file workers, according to the most recent Accenture Skills Gap study. While bosses presumably have a bird’s eye view of short and longer-term lateral assignments, it’s frustrating to hear about them only after they are filled. Here’s the silver bullet: the Employee Resource Group, or ERG. “Affinity groups” took root about 15 years ago, mainly as a way for women and minorities to find each other in large organizations. Smart companies realized that ERG’s were built-in focus groups. Smart employees realized that the horizontal nature of such groups meant that they had a great chance of meeting higher-ups with whom they already had something in common, as recently explained in the Wall St. Journal. As I outline in The Career Lattice, ERG’s are a rich lode for self-promotion, especially if you need to cultivate skills that are outside your official job description. Here’s how to aim the silver bullet that is an ERG: look for new connections in adjacent functions or departments. These are the folks with whom you will naturally intersect on a project at some point. Use the ERG to get to know them before your work responsibilities collide – so you can be each other’s friends in lateral places. 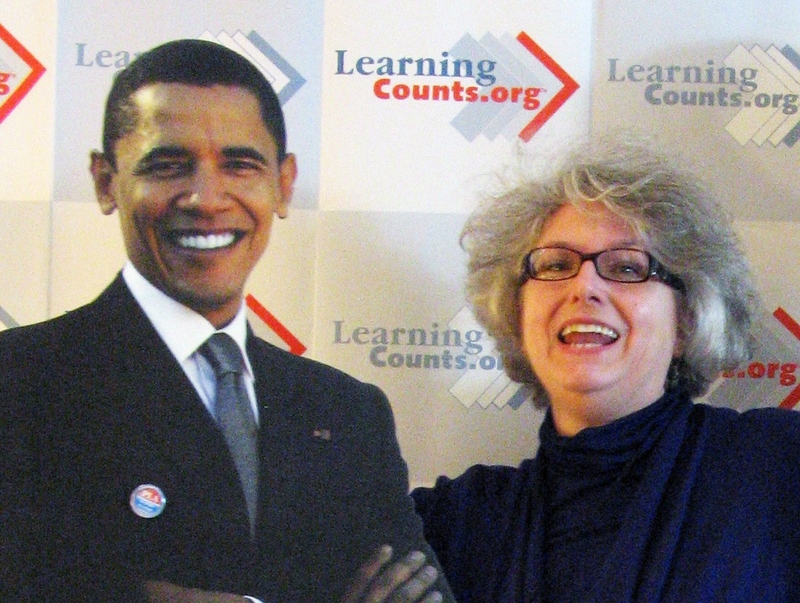 Even cardboard versions of policymakers are behind CAEL’s Learning Counts! A good question popped up in yesterday’s Lattice webinar hosted by Monster.com, the online recruiting supersite: Are lattices mainly relevant for a slow-growth economy, or will they evaporate once economic recovery truly takes hold? Lattices are here to stay. Here’s why. 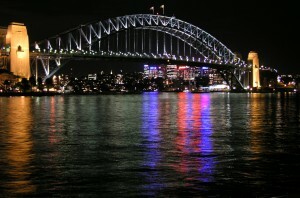 The traditional ‘ladder’ rewards managing vertical relationship. Your boss manages you. You manage your boss. You manage your subordinates. Your subordinates manage you. But peer relationships are the currency of the connected economy. From social media to peer lending to peer services, such as Air BnB, economic relationships are realigning over. Career relationships must follow suit, tapping a whole new arena of peer power for networking and growth. The next era of growth won’t be like the last one. Organizations will have to quickly muster teams, and the teams that can get products to market first and best will be comprised of multi-faceted individuals. Sure, you’ll still need some tech geniuses, but those tech geniuses will be worth more if they also have a working knowledge of marketing and customer service. Lateral rotations within teams will become a key career driver; that’s how individuals will plot and pursue their next positions — lateral or not. Employers like Chubb Insurance, represented for the Monster webinar by AVP of diversity and inclusion Sabrina McCoy, have handed career direction to employees, asking them to find and win lateral developmental moves as well as traditional promotions. Once that power is delegated, companies can’t take it back. The future is latticed. Lattice….or let go. 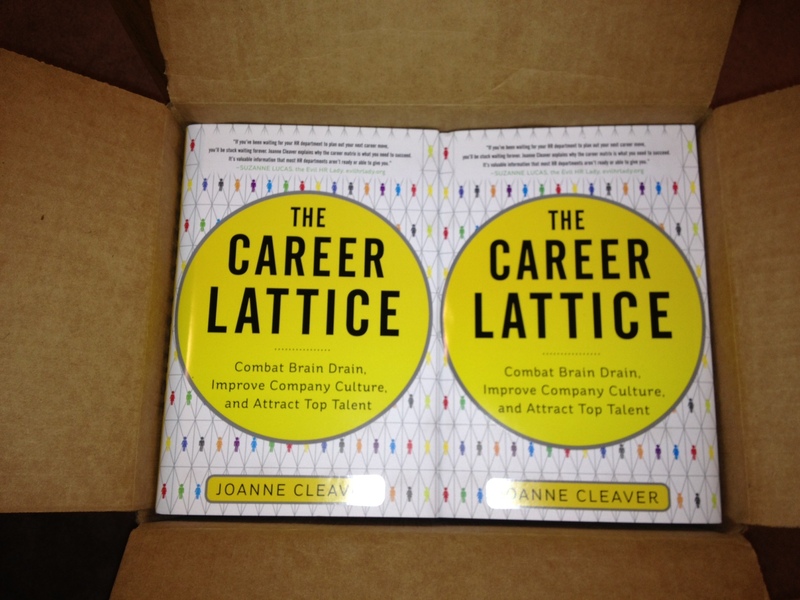 To have Career Lattice insights delivered into your inbox, sign up! According to a recent CareerBuilder survey, most American employees are eager to learn new skills and take on new responsiblities. But about a third doubt that they will be able to make a lateral move at their current workplace. Sometimes, a lateral opportunity comes disguised as a job that nobody else wants. If you are serious about ‘growing in place,’ consider taking on an orphan project. Such assignments are already on the radar with higher-ups — for the wrong reasons. You’ll get points for being willing to try, and more points for gaining traction with a problem that others have resisted. If the benefits of jumping in aren’t immediately obvious, talk it over with your boss, and possibly with another manager whose results will be affected by the adoption. Design a plan that includes skills or networking that you want to gain for your next career steps. That’s what they call a win-win. Lattice to Entrepreneurship – Oct. 3 Workshop! Tempted to chuck it all and start over fresh? New business, new industry, new possibilities! Don’t! Building on what and who you know in your current industry is the single strongest business start-up success factor. And that’s not me talking: that’s the Wharton School of Business, which analyzed small business success rates, drawn from data collected by the Kauffman Foundation. You can get the best of both worlds by detecting a sweet spot that represents a fresh take and a new horizon of options, while bridging from your current staff position. I’ll spell it out, step by step, on Oct. 3 at the Women’s Business Development Center, 8 N. Michigan Ave., Chicago. In just one morning, you’ll build a plan that plots your steps from where you are now to where you want to be — making the most of your proven strengths, contacts, and industry knowledge. Sign up soon — I know this is filling up because I spoke with several women who are coming, at last week’s Entrepreneurial Women Conference. The $25 fee is a small price to pay for detecting your surest chance of entreprenerial success! 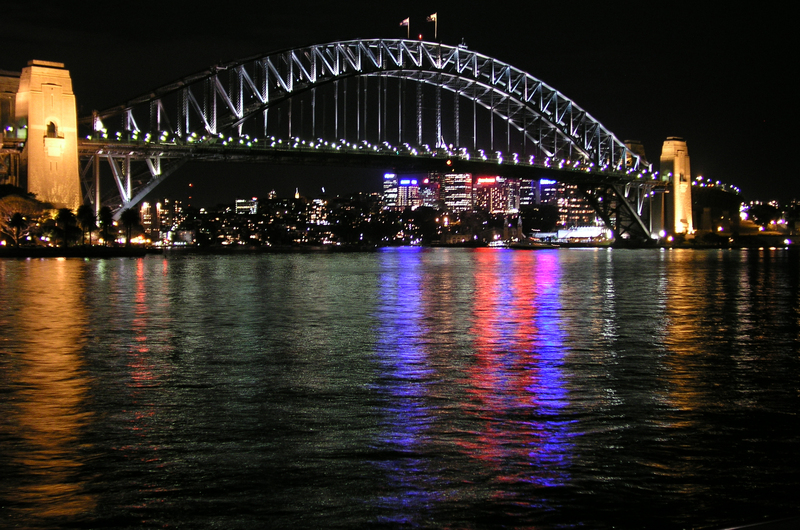 Photo courtesy of Morguefile contributor kconnors. 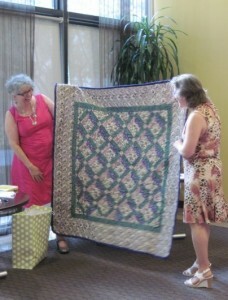 Celebrating with a Lattice Quilt! Nobody writes a book alone. I was very fortunate to work with Kristen McGuire, a crack researcher who is essential to the success of our ongoing projects for the accounting, transportation, and other industries. Kristen fact-checked, verified, corrected, cajoled and enc ouraged me during the creative and reporting process, and helped keep us on track through copy editing and proofing. At our book launch party in Chicago in June, I thanked her with a lattice quilt that I designed and stitched in the fortuitious six-week gap between submitting the manuscript and seeing the first round of copyedits. Here she is, surprised at her cozy lattice thank-you! New grads are jazzed about careers in money management, alternative investments, and accounting…and they should be. Careers in finance typically involve the ultimate validation of performance: the bottom line. Yet, these career paths are often volatile. Wall St. has of late become a parade of box-carrying laid-off workers, and corporate types often find that they are lumped in as overhead, vulnerable to staff layoffs. How does the career lattice pay off for money workers? Julie Steinberg of Dow Jones’ FINS network outlines the big picture in her Q&A with me on June 18. Here’s one more tip, customized from The Career Lattice: make the most of the performance meter of documented financial results you have captured. Many staffers have a hard time quantifying proof of their performance. That’s usually not a problem fo money workers. As you build case studies that show you in action, set up these short narratives with a financial goal. Then show — in two sentences — the steps you took to achieve that goal. End with the goal, achieved, in a number. Did you identify tax advantages that resulted in a net gain of $2 million to your employer’s net revenue? Uncover an obscure opportunity in a hot commodity that scored a big return? Simultaneously keep the lid on operating costs while balancing a portfolio to deliver consistent results despite industry turmoil? Short stories like these tell potential employers — inside your current organization and outside — how you think…in words and in numbers. Is the Lattice Aspirin for Work-Life Headaches? Work-life balance: it conjures up the image of two polar opposites perched on opposite ends of a teeter-totter. One little breeze could upend the teeter, sending that load sliding onto the other end of the totter. It gives me a tension headache just thinking about it. Fortunately, greater minds than mine started thinking about it earlier. Lori Long, associate professor of business administration at Baldwin-Wallace College in Berea, OH, researches “work-life harmony” instead. ‘Harmony’ conjures up the image of complementary strains making the whole sound better. Any one note in isolation might sound wrong..but together, the composition works. I interviewed Lori Long for The Career Lattice, which is due out in June 2012 by McGraw Business. She has been tracking lattices even before they sprang on the scene as a solution to work-life conflict endured by consultants. Like flexwork, the work-life version of lattices quickly was quickly marginalized as a sop to working parents, especially working mothers. And, like flexwork, lattices presented primarily in the context of work-life balance have become ‘defined down’ as a reluctant concession to What Women Must Do To Get Through Parenting Small Children. The silver lining of the Great Recession is that it has cleared the way for repositioning career lattices as a powerful and sustainable mode of career advancement….for everyone. After all, it’s a lot easier to stay on a lattice than it is to climb off a lattice or a ladder – and then try to get back on.